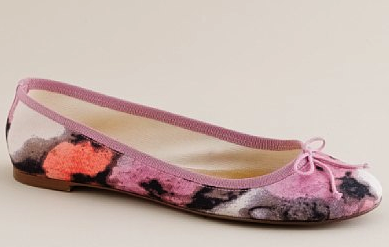 Are these not the cutest ballet flats you've ever seen? Come on all you fabric/wallpaper fanatics - aren't these patterns to die for? I'd love to see them as a throw pillow, a duvet cover, and heck - I'd upholster my sofa in any one of 'em! Alas, I suppose I'll have to settle with a pair on my feet. The only problem is I can't decide which pattern is the cutest. I literally love. them. all. In other news, I'm just tickled that both my home and my prints were featured on a few other blogs and websites this week! Check my Press & Awards page to read about it! AND I'm so proud to say I've sold and shipped a fair amount of prints from my Etsy shop! Thank you so much for the support! Now I just need some sleep. And a pair of those shoes. I love them all! Hmmm... if I HAD to pick one, either the 3rd one down or the last one -- the polka dots are speaking to me. Polka dots. 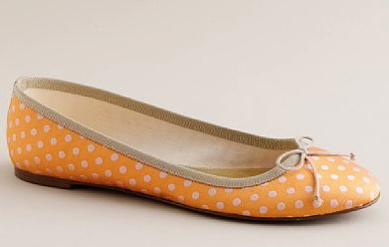 When in doubt, always go polka dots. 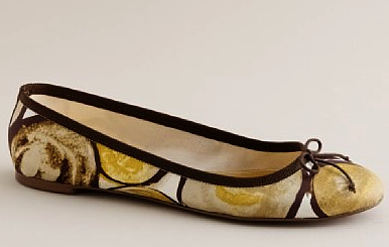 Cute flats...love them all, but the first one is may fave! 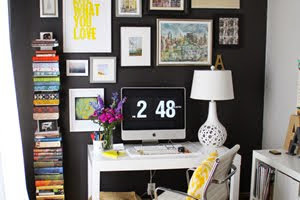 I also loved your bookcases and office posted on Emily's blog! The dark accent wall, pop of yellow, a little zig zag and of course, your bookcases! It reminded me of Ashley Edwards' office space via domino. Love it! Great job! Congrats on your success so far! 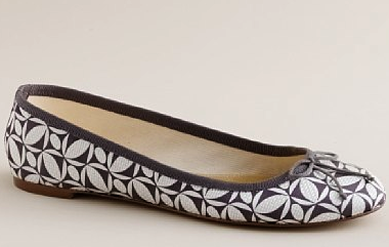 I love ballet flats so much. 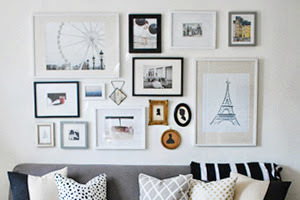 I loved your bookcase so much on Emily A. Clark today, I had to come right over and see your blog. It does not disappoint - I can't wait to read through it! Meeny and Moe are my faves... 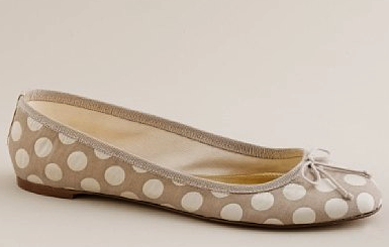 I love JCrew shoes! I like Eeny and Miny the best! I might just have to get some for myself! I'm a sucker for polka dots! I really like the first print too. Just buy them all. Life is good.